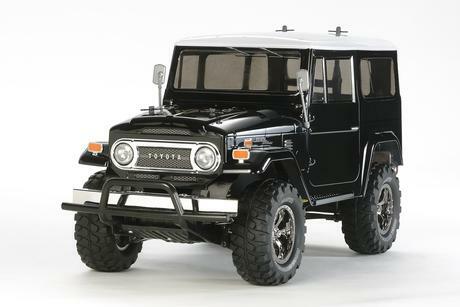 The Toyota Land Cruiser 40 was a world-renowned 4WD vehicle that was produced for nearly 25 years. 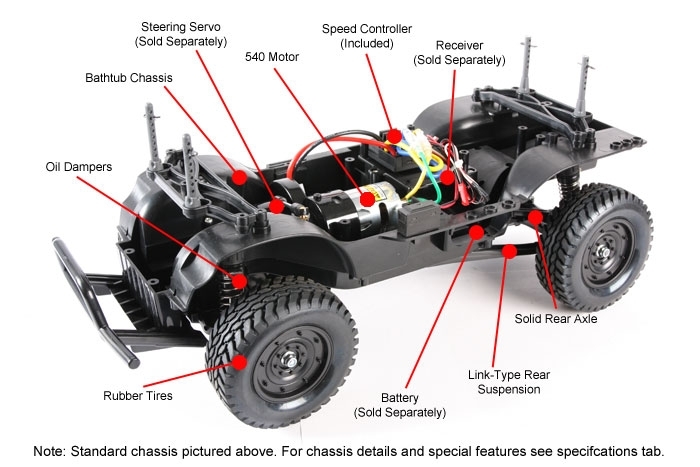 Tamiya"s R/C offerings include a robust and rugged rock crawler platform (CR-01 chassis), a simple and fun to drive cross country platform (CC-01 chassis). 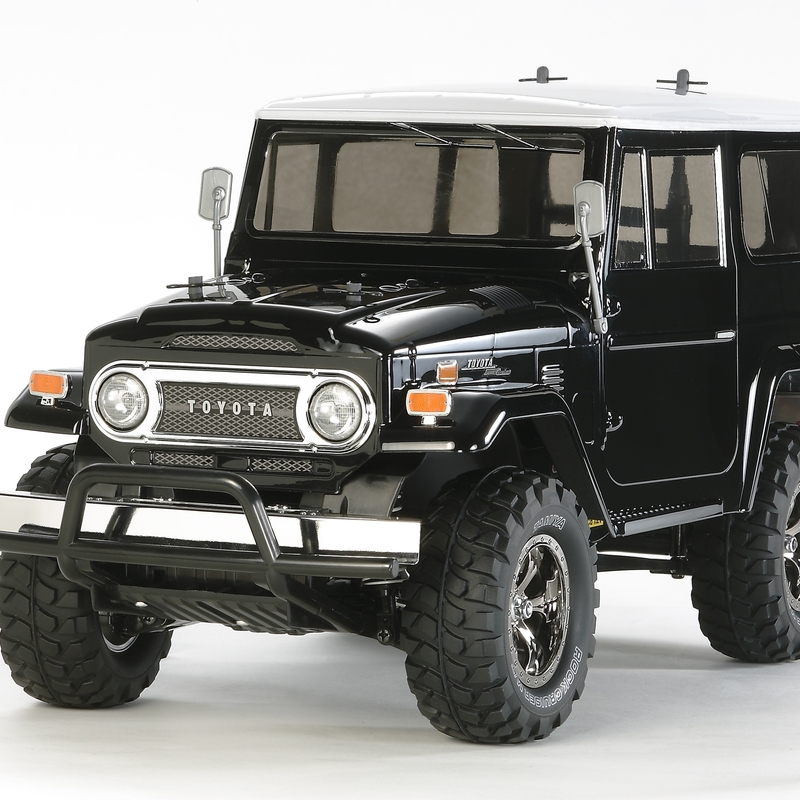 It"s now available with a new "street-customized" color scheme which is again mounted on the tough CC-01 chassis with tires from the Toyota Tundra kit. The addition of these tires gives the R/C model a more custom look and feel. Special Feature 1 Narrow 26mm metal-plated wheels are encased in large-diameter tires. Special Feature 2 LED lights are included to depict realistic head (white) and tail (red) lights. Special Feature 4 Ladder frame bathtub type frame.